What is Cyclopentanone and what is it used for ? Cyclopentanone is a clear colourless liquid organic compound with a peppermint-like odour and is a cyclic ketone. It is a flammable compound with vapour heavier than air. It is produced from adipic acid by heating to 285–295C in the presence of barium hydroxide. Cyclopentanone is an intermediate used in the production of rubber chemicals, insecticides, biologicals and pharmaceuticals. The composition of cyclopentanone consists of C 71.39%, H 9.59% and O 19.02%. Cyclopentanone has a vapour which is heavier than air making it a dangerous environment to work in. The substance easily polymerizes under the influence of acids. 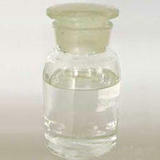 It is insoluble in water but soluble in alcohols, acetone, ether and most organic solvents. It reacts with oxidising agents like hydrogen peroxide. Used in production of cylopentanone derivatives for use in the perfume industry eg Cyclopentylamine, Cyclopentanol and jasmine-fragrant material. Manufacture of insecticides and pesticides. Used in the production of synthetic resins and rubber adhesives. Intermediate in the pharmaceutical industry. Used as a thinner for epoxies. 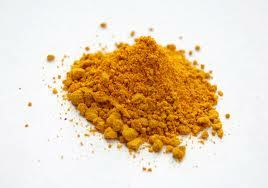 As a solvent it is used in paint and varnish removers, as dry cleaning agent and for oil extraction. Risk phrases: R10 Flammable. R36/38 Irritating to eyes and skin. Safety phrases: S23 Do not breathe gas/fumes/vapou­r/spray. This entry was posted in Laboratory, pharmaceutical, Pure Chemicals and tagged buy cyclopentanone online, C5H8O, CAS No 120 92 3, Cyclopentan-1-one, cyclopentanone, cyclopentanone derrivatives, cyclopentanone in insecticides, cyclopentanone in pharmaceutical industry, cyclopentanone msds, cyclopentanone perfumes, cyclopentanone reagent, cyclopentanone rubber adhesives, cyclopentanone thinners, cyclopentanone uses, Dumasin, EINECS EEC No 204 435 9, where to buy cyclopentanone.